We arrived yesterday in the land of the Magic Kingdom. As I suspected, they wouldn’t let us film here. After all, they have an image to protect And it is a wonderful image! The place is not unlike the world’s Fair, but much more atmospheric. Saw, but didn’t get to shake hands with Mickey Mouse. Back to Santa Barbara today. 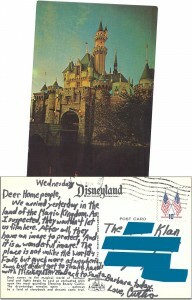 As the address shows, this was apparently written by someone who was friendly with some kind of “Klan.” We don’t know what kind of group this is, but their foul nature is hinted at by the fact that Disney would not allow them to be filmed in the park and Mickey Mouse refused to shake hands with the writer. Visited here yesterday. You would love it here. So much to do & see. This one is quite the work of art. 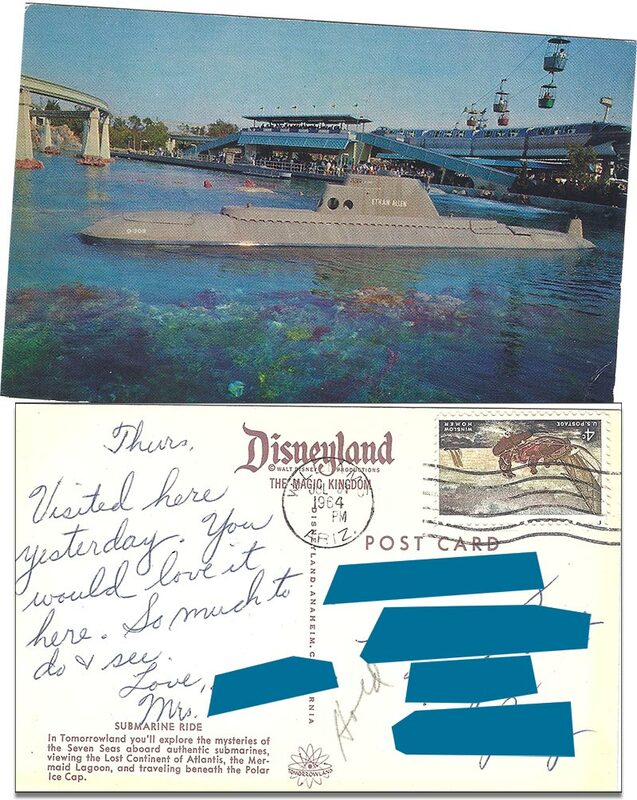 The author of this one performed a difficult artistic double play — writing about how much there is to see on the back of what is considered the greyest of all Disneyland postcards, and topping it off with an upside-down nautical stamp on a nautical-themed card for the subtle Titanic reference. Grandpa and I rode in this horse car today. The horses hoofs went “clop-clop-clop.” The bell went “clang-clang”. Each of us had to pay 10 cents. Isn’t this an adorable card? It sure seems like it until you discover, as our crack team of researchers did, that the grandchild Grandma is writing to a) is 27 years old, and b) had his reading skills severely challenged by this note. 1972 was a very different time. 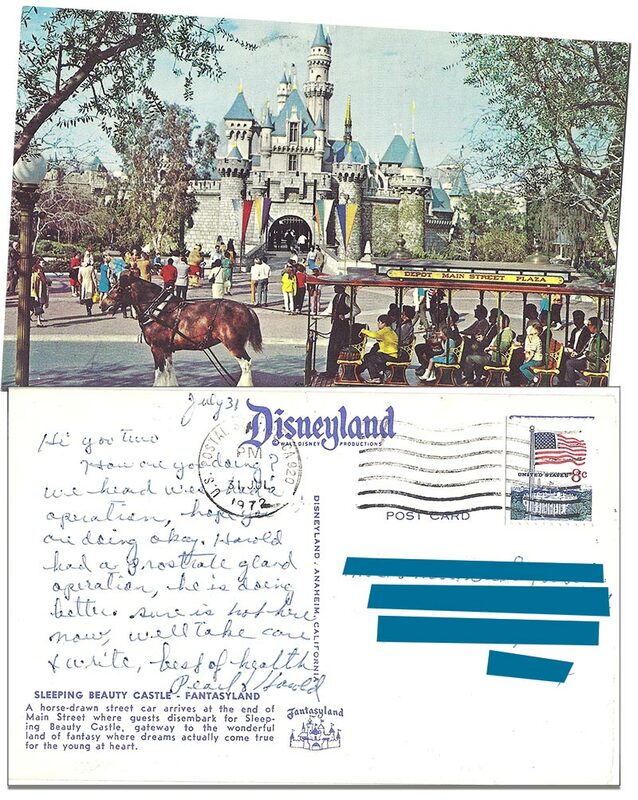 It was a time in which people often chose to recuperate from surgery in an amusement park; it was time when people didn’t worry overmuch that the mailman was reading about their prostate. Ah, the memories! 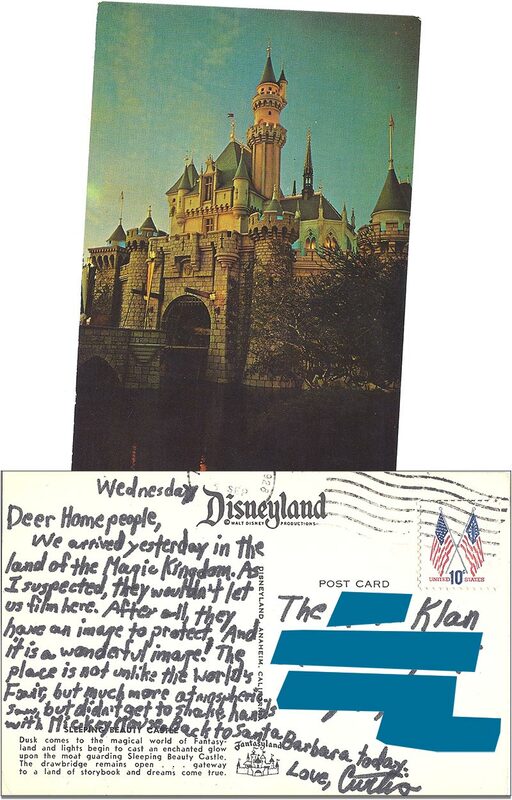 Next time, we have another copy of the same postcard, but with a startlingly different message from an entirely different person. After that — who knows! The suspense is incredible, isn’t it?!? Saw the most recent show by our friends Edison Square yesterday, and they rolled out a new song that happily Disneyfied the theme song from the decidedly not-Disney film The LEGO Movie. Here are the lyrics so you can sing along at home! Got a bow and a mom that’s a grizzly. Who’s half fish and princess? Ariel! And like us they’re princesses! 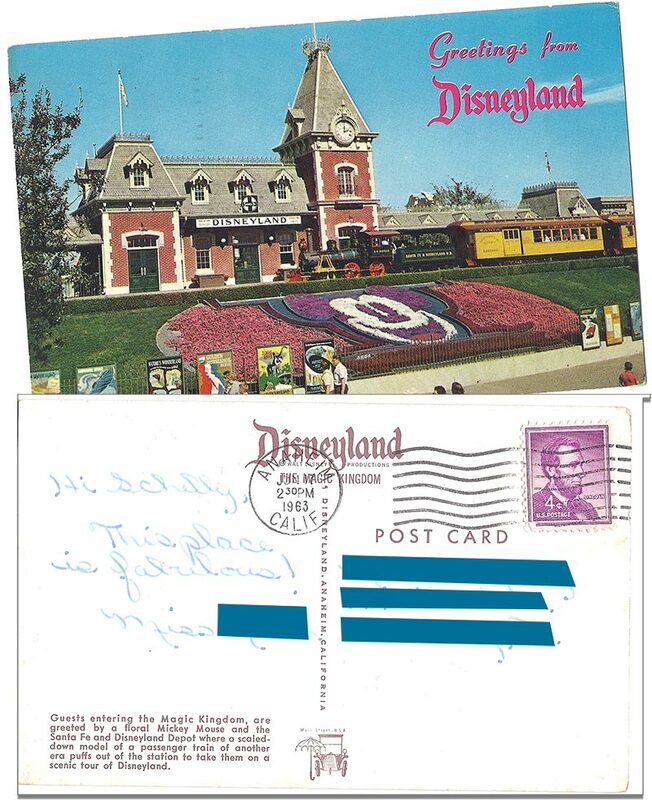 We are hard at work on a new DisneyLies book (this one created in conjunction with another website that shall, for now, remain nameless), which makes our always erratic posting schedule even more erratic. 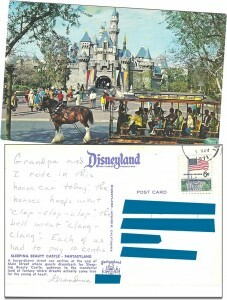 We plan to start something new soon — posting pictures of Disneyland and Disney World postcards that have been sent through the mail, along with annotations or other commentary from our stable of historians, archivists, psychics, and random individuals found along the street who are willing to comment on postcards for money. 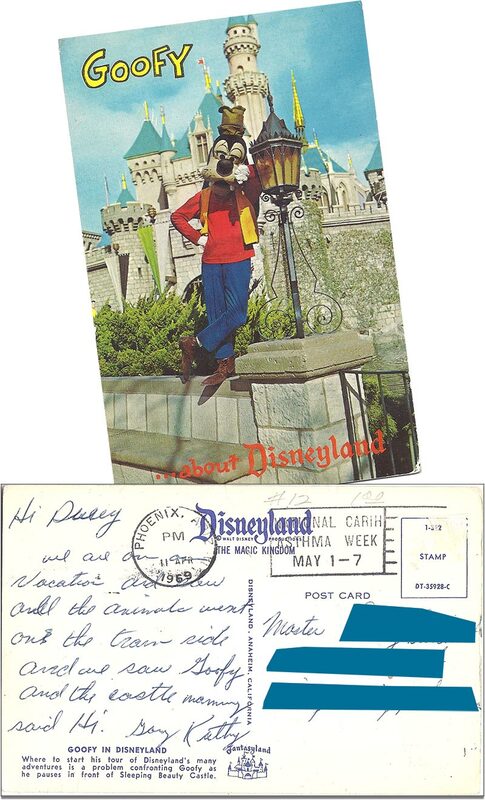 If you have one, many, or more postally used Disney-related postcards in a drawer, box, closet, dumpster, pants pocket, ancient vase, wall safe, or half-eaten sandwich that you would like to submit for insightful (sic.) 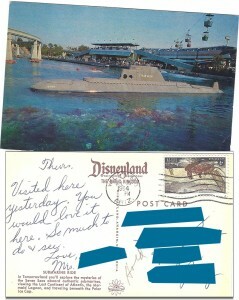 misinterpretation, please e-mail liar@disneylies.com for instructions on how to unload them on us. The Haunted Mansion is even scarier if you scream at the top of your lungs the whole time from the moment you enter the building. If you’re hungry, you can hang out in the Rivers of America near the Hungry Bear Restaurant and people with throw you free bread. Don’t miss Heimlich’s Chew Chew Train! The chains in the queues are really more of a guideline than a rule. Guests are encouraged to clap their hands and stomp their feet along with the flag retreat ceremony. 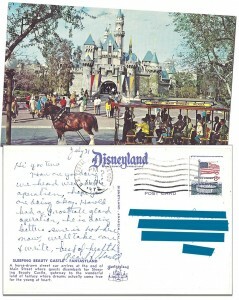 You can get spectacular pictures of the World of Color with black-and-white film. Try licking the buildings — every Disney “land” has a distinct flavor. 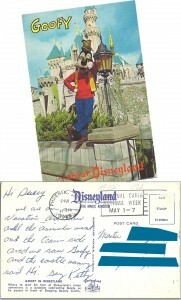 Look for the gold disk in the walkway under the castle that marks the burial place of the last person to ever disagree with Walt. 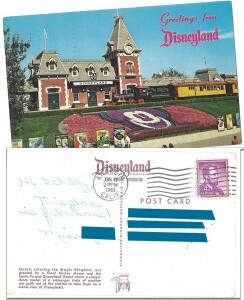 You don’t really need to plan on having to go to the bathroom at Disneyland. When traveling with a large party, don’t walk separately like a bunch of strangers. Instead, go down the sidewalk shoulder to shoulder so you can easily talk to each other while slowly making your way through the park, drinking in the scenic details. Shout out your own jokes on the Jungle Cruise (e.g., “I’d never kill a zebra — I’m not lion” or “I haven’t heard that joke — is it gnu?”). On roller-coaster type rides, you can stack two or more children to get around height requirements. If the queue at an attraction’s entrance is too long, try going in the exit and then acting like you’re flustered, upset, and unable to speak English until they let you on the ride. If a cast member is trying to tell you to do something like move your stroller or not stand in a walkway to watch a parade, you can always get them to stop by reminding them that it’s a free country. If you’re traveling with kids, you can increase the intensity of their enjoyment by making sure they don’t sleep the night before and eat only sugar and carbs all day. During performances of Great Moments with Mr. Lincoln, gentlemen should remove hats and shirts. In a life-and-death situation, a Churro is a perfect weapon. You’re going to want to go on “it’s a small world” at least five or six times to make sure you don’t miss anything. Don’t worry too much about money. Once you’ve got your admission ticket, everything else is pretty much free. If you can’t make it to Disneyland, go to Magic Mountain instead. It’s pretty much the same thing.